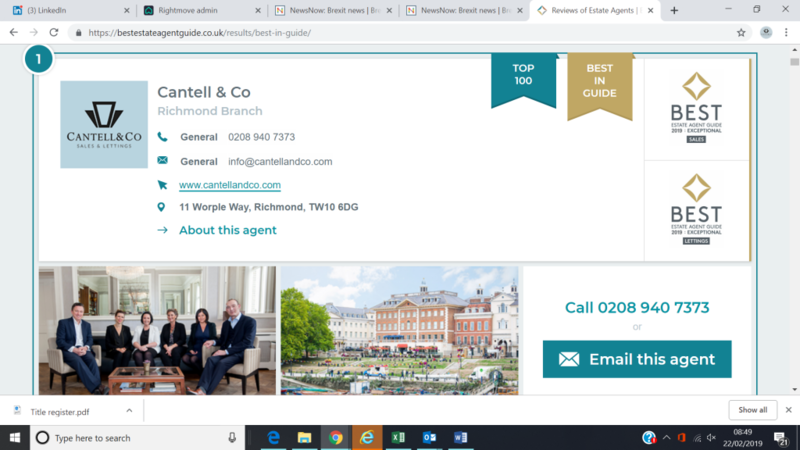 Cantell and Co Richmond estate agents have been independently assessed as the number one sales and lettings branch in Britain. Covering TW9 TW10 SW14 TW1 Cantell and Co are delight by the achievement, awarded by rightmove in connection with the Property Academy. The biggest survey of estate agents ever carried out.